The basal Ganglia is thought to be affected by Strep. New research has shown a link between strep infections and ADHD, autism and other brain-related issues. Pediatric Autoimmune Neuropsychiatric Disorder Associated with Streptococcus, also known as PANDAS, is a condition that leads to autoimmune-mediated inflammation of the brain, and usually occurs after several bouts of Strep throat, but may manifest even if the parent cannot recall a history of Streptococcal infection in their child. PANDAS attacks a part of the brain known as the basal ganglia. 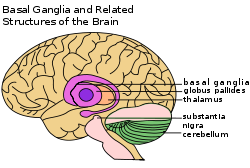 The basal ganglia links the cerebral cortex (involved in rational, calm behavior) with the primitive areas of the brain (involved in fear, anger, and uncontrolled emotion). When the basal ganglia is disrupted by the brain inflammation, serious changes in behavior and though processes can occur. A positive result in any of these tests does not diagnose PANDAS, it just gives more information about whether the child has had a recent exposure to Strep. In addition, low Strep titres do not rule out PANDAS. If symptoms of PANDAS occur suddenly, it is useful to have the above Strep titres tested to see if a recent Strep infection could be related. Beyond this point, further testing for food allergies/sensitivities, as well as levels of immunoglobulins (IgE, IgG, IgA, and IgM) can be done to assess for additional burden on the immune system that is contributing to the child’s susceptibility to PANDAS. Treatments for PANDAS may include oral antibiotics to eradicate a Streptococcal infection, and prophylactic antibiotics to prevent recurrence. Oral prednisone is also used as a potent anti-inflammatory to relieve inflammation of the brain and prevent damage. Another therapy known as intravenous immunoglobulin (IVIG) is being investigated. Complementary treatments support the use of antibiotics with probiotics (non-Streptococcal strains), and natural therapies to downregulate inflammation and support the brain, such as curcumin, EPA and DHA. Vitamins and minerals to support immune function (vitamin C, B vitamins, zinc, and selenium) should be administered intravenously. 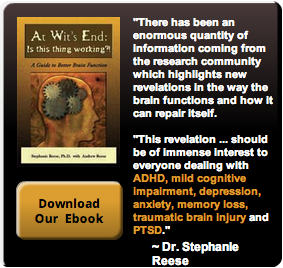 Intravenous glutathione, a potent antioxidant, can be used to protect the brain from being damaged from inflammation. Investigation should be done to rule out or treat other non-Streptococcal infections that may be present such as Candida (yeast), parasites, viruses (EBV, CMV, HSV), Lyme disease, or pathogenic bacterial overgrowth. Food allergy and food sensitivity testing can be done, and foods should be eliminated from the diet that may be placing additional burden on the child’s immune system. Lifestyle modifications are also important. Children with recurrent Strep infections may be constantly re-inoculated with the Strep bacteria through an asymptomatic family member. Some people are carriers of Streptococcus, and special care must be taken to prevent spread from carriers to the susceptible child. A child may also be re-exposed to Strep through skin infection (impetigo), urinary tract infection or ear infection. Immune system support to prevent recurrence of these conditions is important in long-term management of PANDAS. The tonsils and adenoids may harbor Streptococcal bacteria and some evidence suggests tonsil and adenoid removal in cases of PANDAS; however, careful consideration of the role of the tonsils and adenoids in fighting infection should be made before making this decision.